Going through the whole process of an audition can be very stressful, so getting an acting callback is a big deal. If you have gotten a callback, you need to know what to do. At Explore Talent, we want to help you achieve your dreams, so here are our tips on how you can prepare for an acting callback. You’ve made it! Celebrate your achievement because getting a callback means you stood out at the audition and made a good first impression. It could have been your timing, facial expression, or your big, bright smile that caught their eye, but it was something about you that caused them to consider you for the role. A callback is your second audition. You could also say it is the semi-finals stage when booking a role. One important thing to remember is don’t change a thing. If they liked what you did the last time, stick with the formula. As much as possible, recreate the performance you did during the first audition. If you can, wear the same outfit and have the same hairstyle. When you arrive, make sure you are ready to perform, even if the waiting room is already very crowded. You might think that a callback means only a few of you will be there. In reality, it could be as many as thirty people who are there for the callback. For that audition, you will be reading for the director, producer, casting director, and writers for the role. For this type of audition, you will be matched with a scene partner. They will watch you to see how you work with your scene partner. It is absolutely crucial that you go for the callback you are assigned for. For a regular audition, you can reschedule, but that kind of flexibility is not available for a callback. The main point of a callback is so that the casting directors can see how you work with the other actors. The chemistry between you and the rest of the cast is something they will be on the lookout for. Because you will be working with others, you need to arrive on time. It goes without saying that being timely is crucial in the entertainment business. Being a stickler for time cannot be stressed enough when it comes to the callback. You must be a few minutes early and ready to perform at any time. It’s natural that when you go to the callback, you have a certain level of anxiety. Just stay focused on your craft. You are there because they found something good about you, so take that opportunity to prove to the casting directors and other industry big wigs that they made the right choice in you. Just relax, and give the star within you a chance to shine. 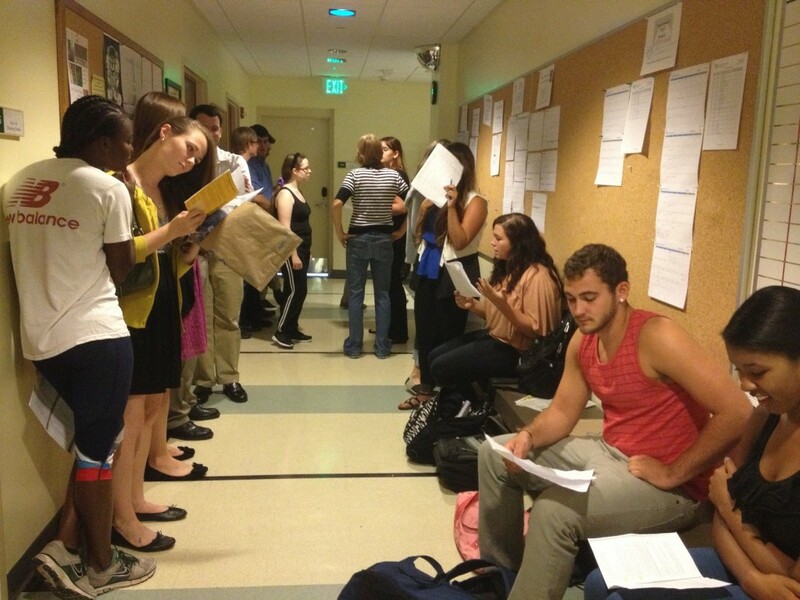 Essentially, auditions and callbacks are a chance for you to sell yourself. Specifically, it is a chance for you to showcase and sell your talent. You need to make the casting directors feel that you are the missing piece in their auditions. Make them see your talent and realize that you, and only you, can fill the role or part you are trying out for. In this industry, you will be going after roles with hundreds of competitors. So give each audition and each callback your best shot. You never know when your big break will come. When you make it big, you can pick and choose all the best roles. But until you get that big break, remember, no role is too small for you. Whether you are trying out to be an extra or one of the lead roles, you give the same 100 percent effort and skill. While these tips may seem basic, they are helpful. Maintaining professionalism by being punctual and prepared to audition at any time is a good habit to develop. Sure, you hear of many actors being “divas” or difficult to work with, but if you are still starting out, no one will tolerate bad behavior on your part. So when you walk into an audition, come with your best attitude and biggest smile. Blow them away with your talent because your next audition may be the make it or break it point of your career. It could lead you to accomplishing everything you’ve always wanted in the entertainment industry.